Join the VMM-Trail running Camp in May 2014! A unique and exclusive event with new trails, river crossing and a chance to run through thousands of spring green rice fields. This social weekend is only for lovers of mountains, trail running, and fresh air. We will be the first runners ever in this area! 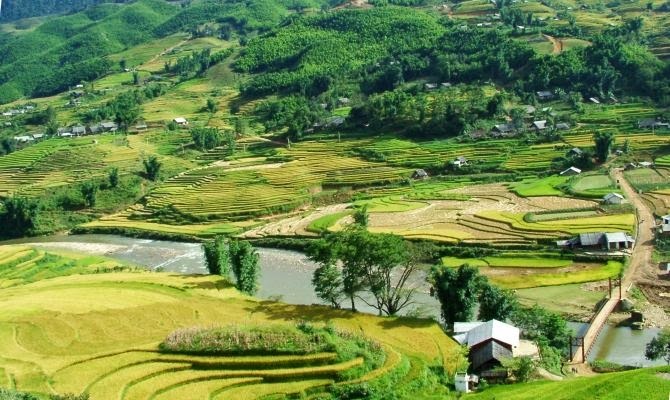 May is one of the best months to explore the great Vietnamese Mountains as the weather is good and the rice fields are just beautiful. We divide into two groups and enjoy 3 days of unique and social trail running on trail where the local minorities will look and cheer with big eyes as they have never seen runners before. In the daytime we run in the mountains and that it is not a competition. In the evening we enjoy the good Company of fellow international trail runners. 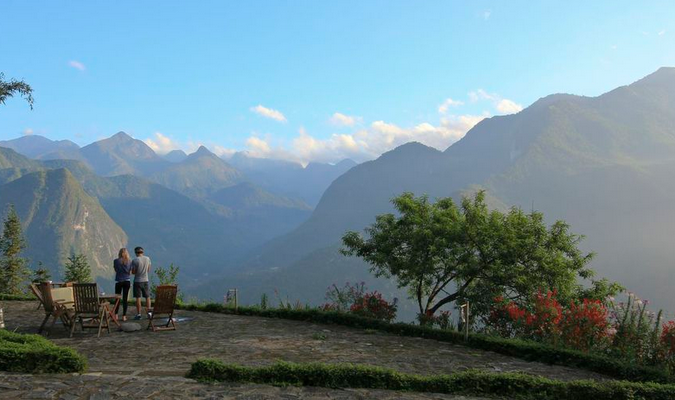 Accommodation is in shared bungalows at Topas Ecolodge situated in 1000m outside Sapa Town, northern Vietnam. We offer special guided half-day walks every day for supporters and family. Day 2: 16th May. Great run in remote area “behind the scenes” up to Topas Ecolodge +1000m, Ca. 15 km or 30 km. Day 3: 17th May. 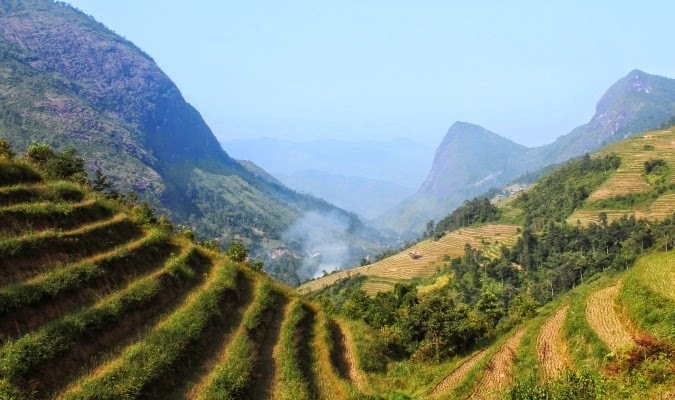 Downhill to Tay minority Valley and “into the wild”, river crossing, forest and most remote valley! 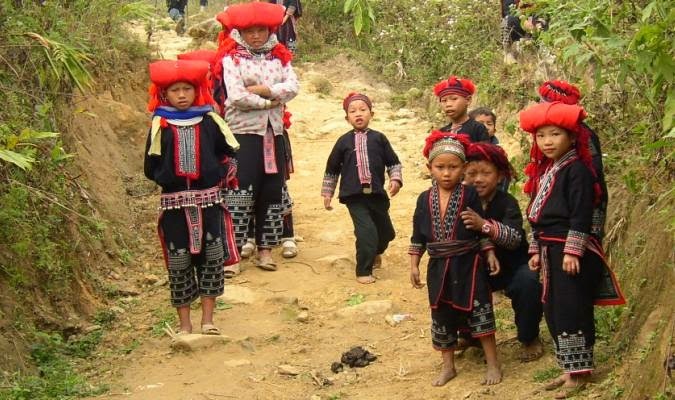 Optional: Climb Fansipan 3143m, the highest peak of Indochina in only one day! Extra fee applies. Day 4: 18th May. +2000m downhill run! Transfer to starting point in 2000m near Fanispan, the highest peak of Indochina. Now downhill into unique Flower Hmong area. Night train back to Hanoi. All Breakfasts, lunches and dinners (except Sunday evening). Drinks are not included. Water and snacks at checkpoints all days. If runners among us knows yoga or have an interesting lecture we will develop the evening programs… more to come. First bookings gets Executive Bungalows at Topas Ecolodge later bookings gets Deluxe Bungalows. Deadline: 15th April 2014 or when fully booked (40 runners), no refunds after 15th March. So what are you waiting for? There’s limited spaces left .. sign up here!